The building launches out of the landscape on steel posts and boldly pushes skywards. 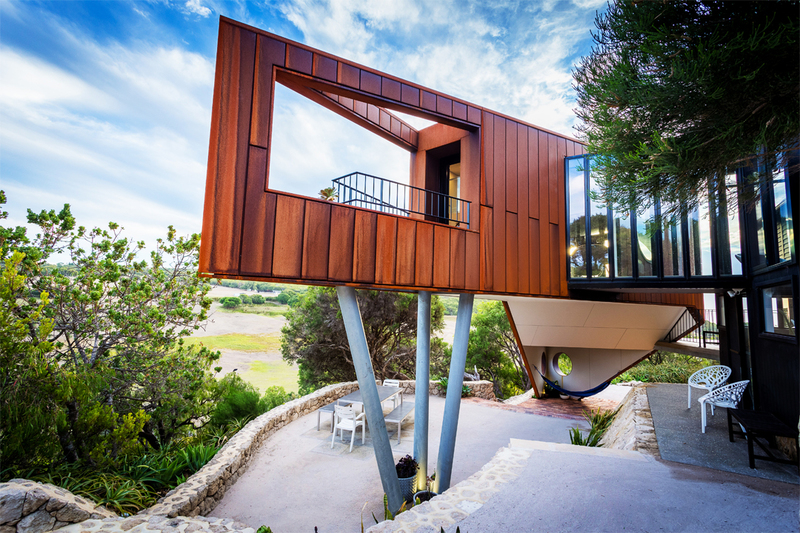 Clad in Corten steel and connected to the main house by a glass-bridge walkway, the entire building provides views of the ever-changing coastal vistas through every window – each one offering a different screenshot. 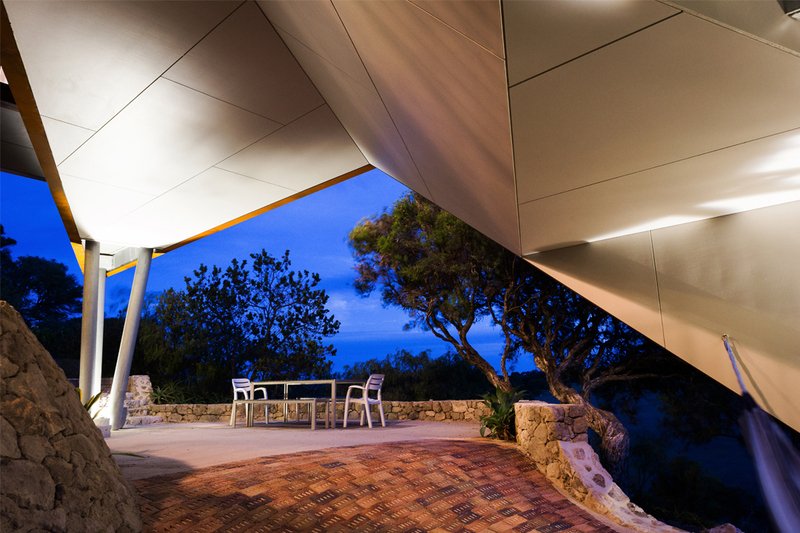 The overall space culminates in an open-air triangular apex, from which the panoramic views of the surrounding valleys can be enjoyed. Motorised aluminium venetian blinds ensure the area is suited to the variety of weather conditions to which the beautiful area is exposed. Not surprisingly, the client was delighted with the project. “The result is a structure that I absolutely love… [It was] built for living in, looking out of and just looking at. 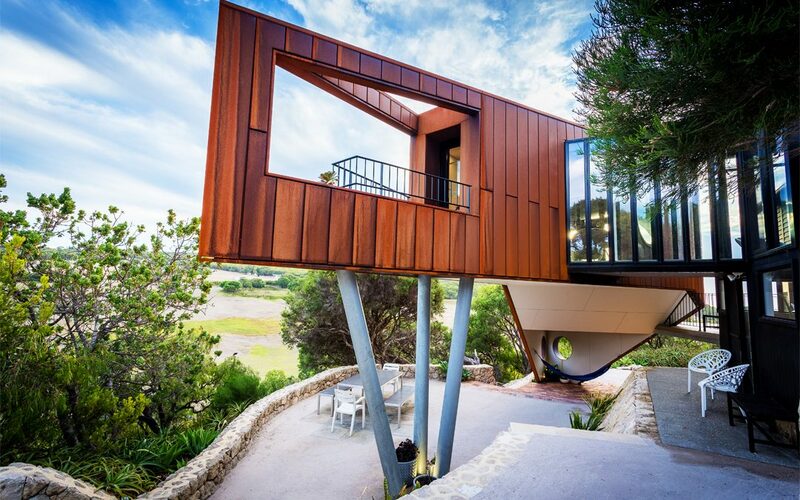 It really transforms how I feel about my home.” With more than 20 years’ experience in construction, Tallwood Constructions designs and constructs award-winning new homes, renovations, and additions throughout the South-West region of Western Australia, as well as Perth. 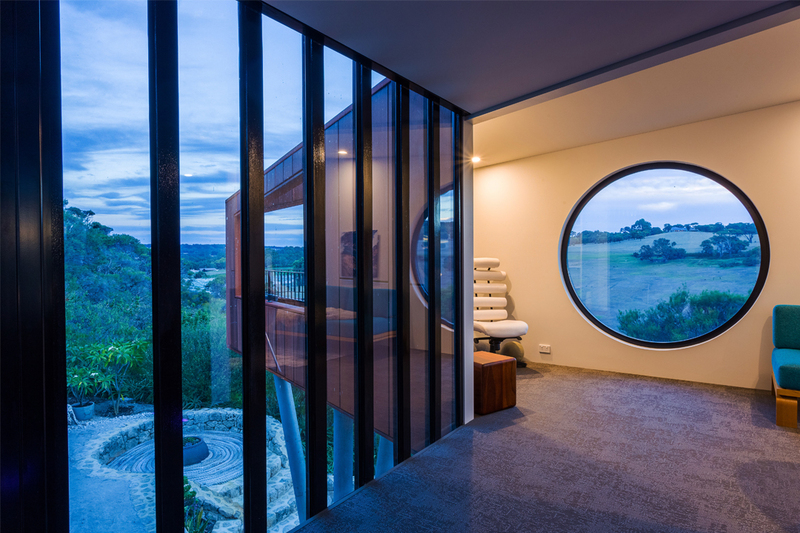 Building on difficult sites is often required, and the whole Tallwood Constructions team follow the philosophy that bringing a dream home to life lies in one-on-one personalised service, a high level of supervision and fastidious quality control.